Is there such a thing as Canadian cuisine? If so, Kraft Dinner might be on the menu. Kraft Foods is recalling about 6.5 million boxes of original flavour Kraft Macaroni & Cheese, but for now it seems the beloved food staple is safe in Canada. Is there such a thing as Canadian cuisine? If so, Kraft Dinner might be on the menu. 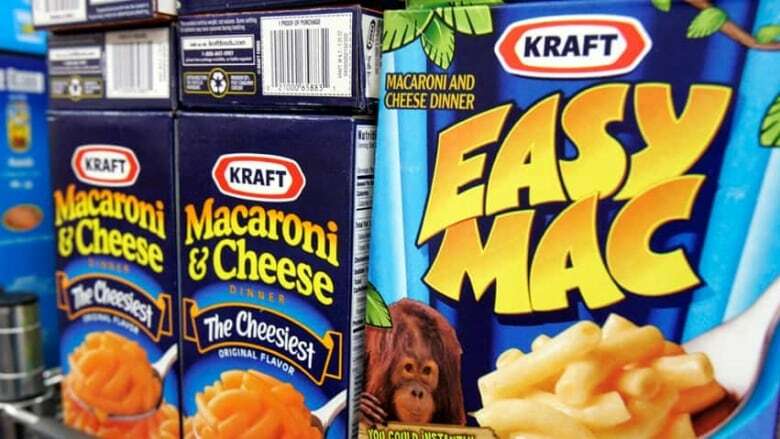 And despite a Kraft Foods recall of roughly 6.5 million boxes of original flavour Macaroni & Cheese, it seems the beloved food staple is safe in Canada. Cue a nation-wide sigh of relief. In the U.S., however, mac and cheese eaters are not so lucky, because some of the product boxes contain small pieces of metal, according to the manufacturer. The recalled boxes have "best when used by" dates ranging from Sept. 18, 2015, through Oct. 11, 2015, and are marked with the code "C2." They were sold throughout the U.S., Puerto Rico, and in some countries in the Caribbean and South America, but not in Canada. The recall covers 205-gram boxes that were sold individually and in packs of three, four and five. It covers 242,000 cases of the product.